Most kids are delighted when they learn about the dinosaurs and animals that used to roam the earth before humans came around. But how do we know that these animals once existed? With fossils, of course! 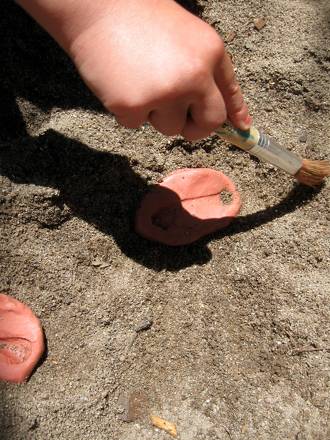 In this activity, have your child learn more about fossils by creating her own. Add the joy of baking and the thrill of munching goodies, and you have a perfect recipe for some year one science learning. 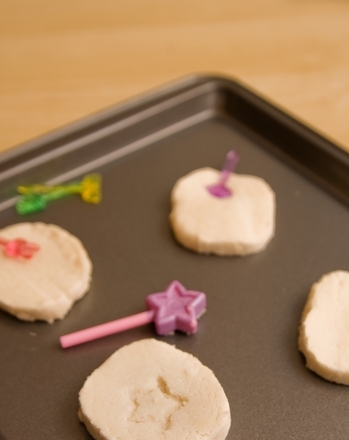 Help your child cut or form the cookie dough into circles. Press or roll the dough circles until each is about one-quarter inch thick. Show your child how to firmly press a “fossil-maker” into the centre of each cookie to leave an imprint. Spraying objects lightly with pan spray before pressing into the cookie will keep the dough from sticking to the object. 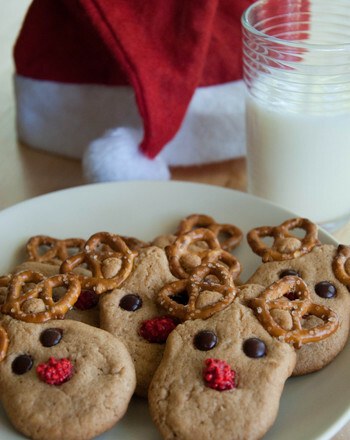 Bake the cookies according to recipe or package directions. Wash the “fossil-makers” and save to use for matching to imprints when the cookies cool. When the cookies cool, ask your youngster to match the fossil-maker to the fossil imprint in each cookie. Discuss with your child how cookie-making relates to fossil imprinting. You can explain that the cookie dough is like the mud that real animals imprinted with their footprints, bones, and bodies. The mud “baked” or hardened when other layers of mud covered the “fossil-maker," creating imprints. Scientists today match the animal parts we know to the unknown imprints to identify the creatures that made them. That's how fossils can show us what kinds of animals and plants used to exist on this planet. Eat and enjoy your newly made "fossil imprints"! 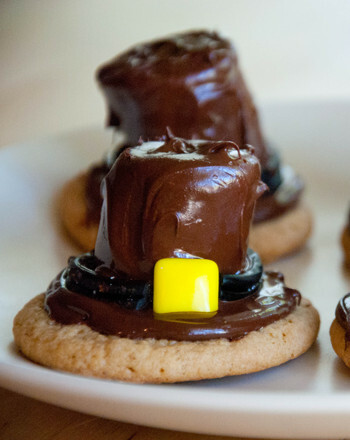 As an extension, you can introduce your child to the old-fashioned fun of mudcakes. 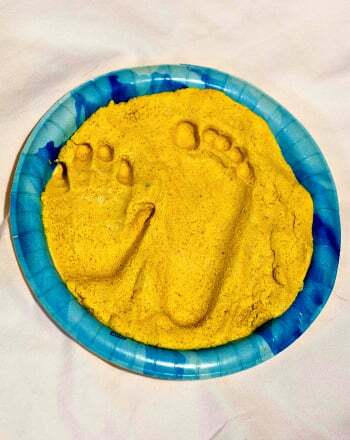 Use the same procedure to create imprints, and allow the mudcakes to dry in the sun. Let your year one pastry chef play with cut-and-paste paper cookies, making cookies as creative as she can! 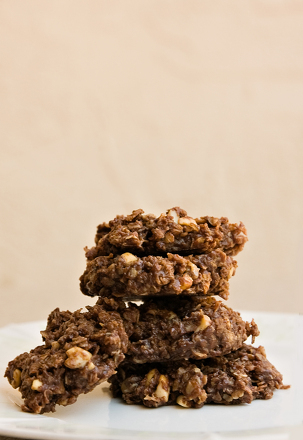 Enjoy making these no bake cookies with the kids and teach them important lessons in early maths skills. 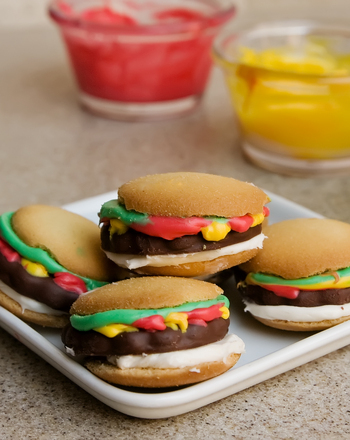 Let your preschooler develop her fine motor skills in this cooking activity that has her creating hamburger cookies, a great snack for any party or BBQ. 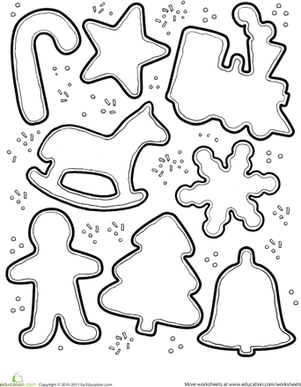 Give your child a holiday coloring page like this one of cookies by the tree, as he waits for Santa to stop by. Of baking cookies is a sweet way to get beginning readers started on the road to success. It's your job to make sure each cookie tray has the correct number of cookies!